I’ve recently been in Iceland, for two weeks. I’m still evaluating exposures I made. I have a lot of work to do on this as on so many other things, including hanging a show of photos soon. It’ll be a while. With three hurricanes simultaneously in the waters off the east coast of the US, Irma breaking records and destroying Carribean Islands, about to destroy some parts of Florida most likely, with Houston still struggling to rescue people from hurricane Harvey, it seems like a good time for everyone to point out why this is happening. The oceans are warmer than what used to be considered normal. This fuels bad storms, much worse storms. The global climate is changing because of human carbon emissions. 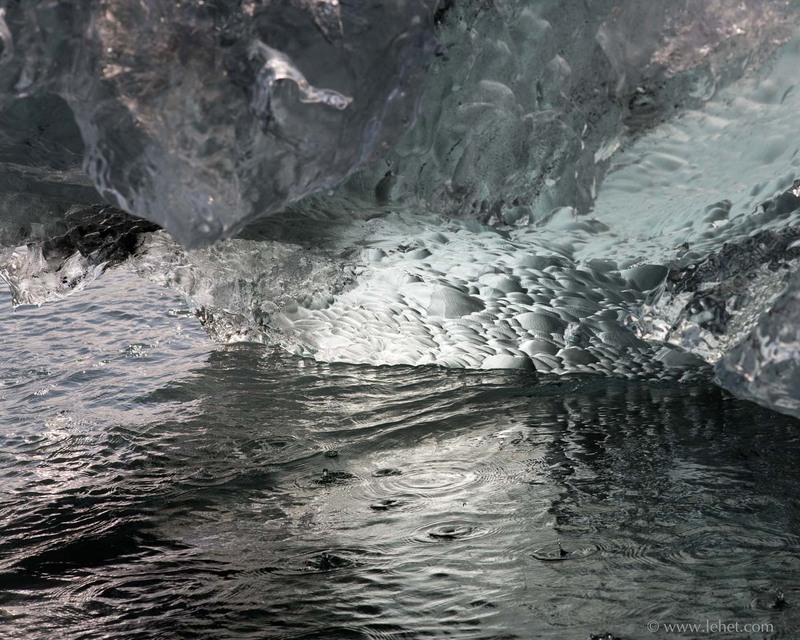 The glaciers are melting, in Iceland and everywhere. So this glacier on the east coast of Iceland, Vatnajökull, of course is receding, melting, calving off chunks. I guess it’s usually normal in Iceland for there to be chunks of glacier on the beach nearby in summer, but on this day, I took my shoes off and the black sand of that beach was quite warm underfoot. This chunk of glacier was melting fast into the water at the edge of the beach. It’s always funny as a photographer, or a human in general, to revisit an experience. I had been in Iceland on a honeymoon ten years ago, with no expectations. That was completely mind blowing. This time I was loaded with better gear and more skill as a photographer on the positive side, but on the negative side I was burdened by mind full of concepts of ICELAND to try to push past and be fresh. We’ll see if I managed to see freshly for more than a few bursts here and there. This was made with the Contax G 90mm lens, and old and inexpensive film-era lens, adapted to my modern camera, which is one of the sharpest and most aggressively contrasty lenses I’ve ever owned, if not the most. I called up a friend who is a college professor in Chinese culture, literature, and I asked him if it was true that there was a Chinese curse, “May you live in interesting times.” He told me he thought it was a myth that we think that is a Chinese curse. Well, cursed or blessed, we are certainly living in interesting times, weather-wise and other-wise. I miss being a bit bored sometimes. This entry was posted in Abstract, Beach, Ice, Iceland, Landscape, summer, travels, Water on September 6, 2017 by john lehet.